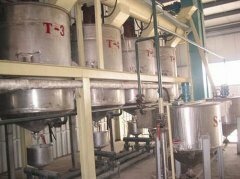 Mainly used for rapeseed shell remove and separation in the vegetable oil refinery , and followed by cold and hot press, soak and separate in order to produce high quality edible oil and enhance the utility of rapeseed protein. 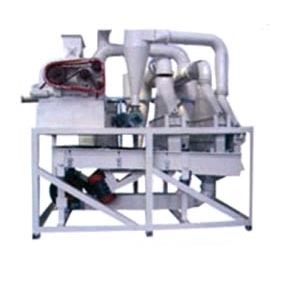 The technology of rapeseed dehulling process and separation belongs to the pre-section of rapeseed oil extraction. 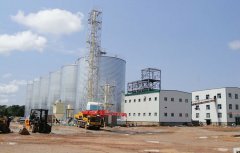 Its improvement is to control moisture content of rapeseed (weight) at 7% ~ 9%, with multi-grade combination screen to grade rapeseeds. And then the rapeseeds were treated by the rapeseed dehullers with different roller gap ranges. Finally, use the separation unit to separate the mixed hulls and seeds continuously. The rapeseed dehuller have good effect and high speed. Compared to common rapeseed hulling machines, the series rapeseed dehuller can make both the hulls rate in seeds and the seeds rate in hulls below 3%. It can improve the quality of oil product and cake and meal, and achieve industrialization production, thereby increase the value of comprehensive utilization of rapeseed. first, test the moisture of rapeseeds by moisture meter. According to the reasult of measurement, to condition the moisture of rapeseeds material by drying (increasing temperature, cooling), damping (sparying) etc methods or use directly, make the moisture of rapeseeds (weight) at 7% ~ 9%. Use the multi-grade combination screener to sieve the moisture conditioned rapeseeds. 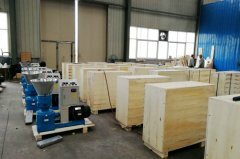 According to particle sizes, make the material grade into 4 to 6 level. The referred multi-grade combination screener is that mesh number of its screen nets increase from top to bottom ordinally. After graded, the rapeseeds come into dehullers for further hulling process. The different level material dehulled corresponding to respectively dehullers. The dehullers have different clearances between press rollers. 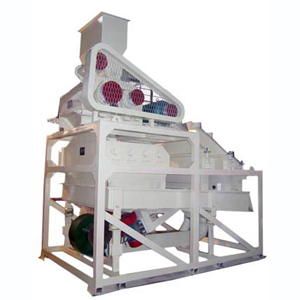 carry the mixed hulls and seeds after hulling and grading to reiteration type combined separating machine for further mass separation of hulls and seeds. 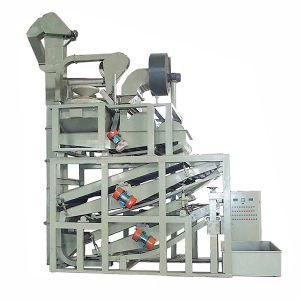 The separating machine classify the hulls and seeds through gravity and winnow and use the conveying device to separate the mixed hulls and seeds repeatly by the way of continuous loop, continuously separated the seeds at below 3% hull rate in seeds (weight) and hulls at below 3% seeds rate in hulls (weight).